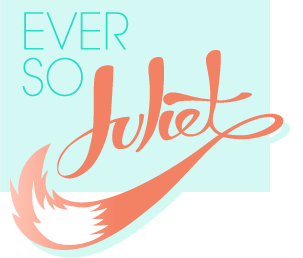 Hi, my name is Juliet and I am an eyeliner addict. I wear liquid eyeliner practically every day... it's become such a normal part of my make up routine that I don't think twice about doing swooshy cat eye liner, even if it's just for a quick trip to tesco or heading to work on a gloomy Tuesday morning. So as I have had so much practice it always comes as a surprise when people say they think liquid eyeliner is hard to use. It really really isn't! My lovely work pal Kirstyn asked if I could do a wee how to, so here we go! Step 1. Put the rest of your make up on. 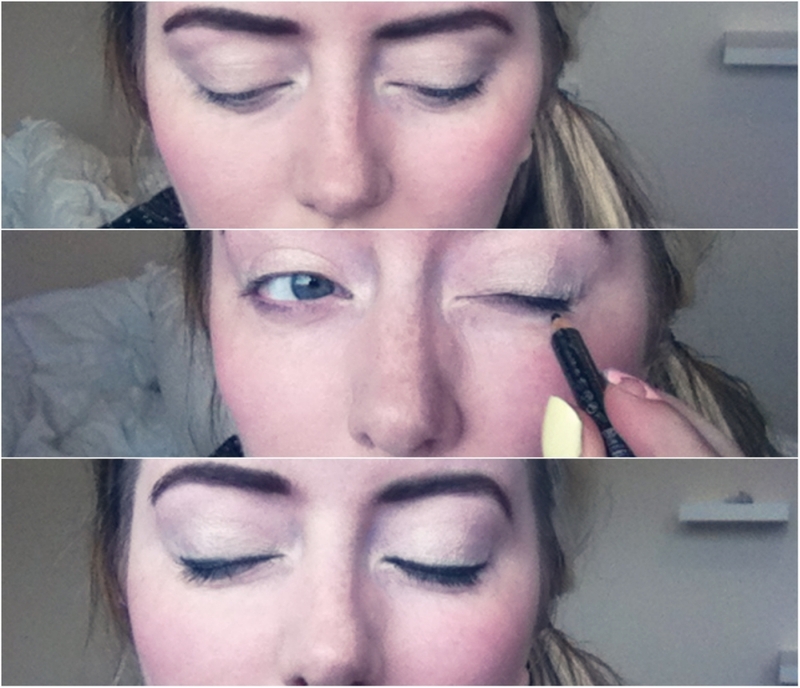 Here I've pencilled my (super scruffy) brows, put on a tiny bit of gold eyeshadow, a light foundation and blusher. Step 2. Use a kohl pencil to lightly line your lids, starting in the middle and working your way out to either side. This creates a line you can use to guide the liquid eyeliner, which is really helpful if you don't have very steady hands! Step 3. Use your liquid eyeliner to go over the pencil line. Go slowly and try to stay as close to the lash line as possible. I find it easier to do this if your eye is open a little bit (like you can see in the photo above!). I use 17's liquid eye liner - it's a nice dark black and is pretty smudge-proof! 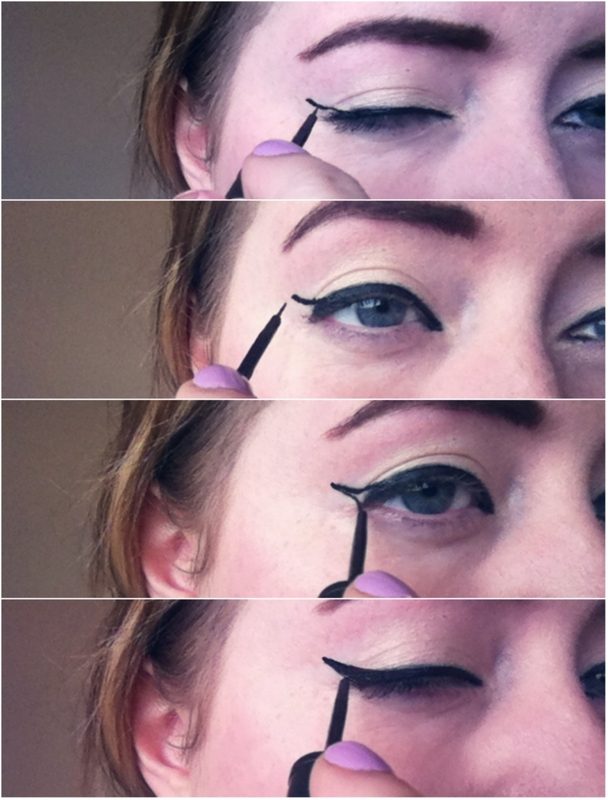 continue the line from your eyelid out to the length you want the flick to be, making sure the line gently curves up. connect the point with the outer corner of your eye (aka draw a triangle). colour in the space, making sure it's a smooth line across your eyelid. And that's it! Liquid eyeliner takes a moment to dry so you'll need to keep your eyes closed for a minute or so, just so your hard work isn't ruined by smudges. When doing your other eye try and keep the flick the same length/same height so your make up isn't lop-sided. I hope that helps! If you look at my other make up posts you can see how it looks in action. You can tell you've been doing this a while, you're pro at it Lady! Great tutorial. This is great Im no good when it comes to eyeliner but will defo be giving this a go ;) I find after a while I get panda eyes on my lower eyes and tips on how to keep eyeliner and mascara in place? Great, let me know how you get on! Is the smudging from liquid or pencil liner? 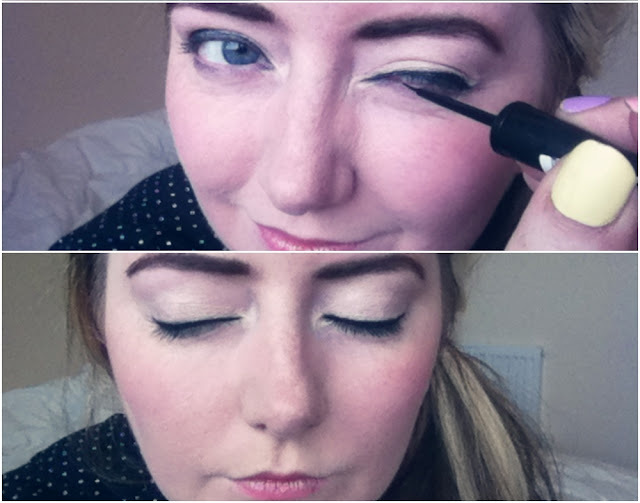 Liquid liner has much more sticking power, but some products are better than others! You are basically a goddess. Can I just hire you to do my makeup for special occasions? Like last time! I'm addicted to cat flicks too - can't get enough! I'm exactly the same - I wear eyeliner so much that if I'm not wearing it, I don't even look like myself! I never thought of using a pencil liner first thought, that must make things a bit easier when trying to get ready in a rush! Perfect. You're so much better at it than me!